Basic Drilling Co. was founded by John Harambasic in 1955 and was originally located in Phoenix at 27th Avenue & McDowell Road. As the valley’s growth moved eastward, Basic Drilling Co. moved to its present locality in Apache Junction, Arizona. 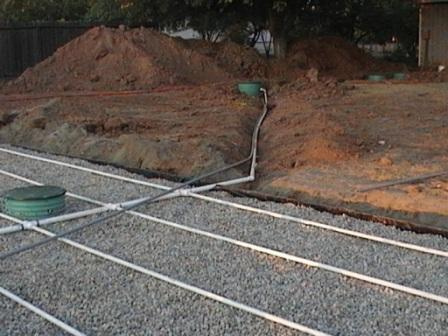 Today, the company operates statewide as a licensed contractor specializing in septic tank systems, drywell installations and foundation drilling. Basic Drilling Co., a leader in the industry, is still family owned and is presently under operation by John’s sons and daughters. The success of our business continues on today with a strong work ethic and integrity. 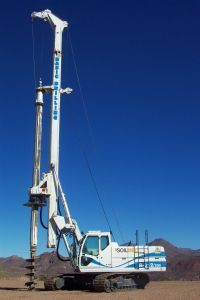 A unique feature of our business is that with having such an established, long-running company, most of the “upper management” grew up in the trenches, so to speak…running equipment, drilling holes, installing septic systems, building drywells. This serves as a benefit to our customers, as it gives us a full understanding of field conditions and the experience and expertise to handle tricky or difficult situations. Also, many of our employees have worked with our company for decades and have acquired a vast amount of experience as well, to ensure that each project is completed safely, efficiently and professionally. 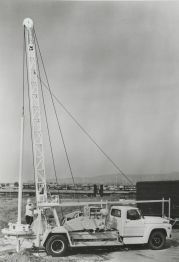 In the 1950-60s, drilling was undertaken with simple “bucket rigs”. These machines served their purpose for the time, but as the scope of work grew, more powerful auger machines were acquired in the early 1970s. 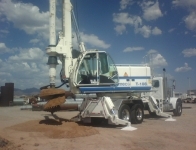 Today we operate a fleet that includes a wide range of modern drilling equipment, backhoes, boom trucks and dump trucks. Whether it’s a septic tank system, drywell installation or just a simple drilled hole…Basic Drilling Co. has the equipment, experience and personnel to get the job done right! We would like to help you with your foundation drilling, storm water drywells, or septic tank installations. Please give us a call at 480-983-6787, or reach us through our Contact Us page. © 2009 - 2019 Basic Drilling Co., All rights reserved.